If you forgot admin password of Vista and was locked out of your computer, you need to reset the password. But the problem is that how can you reset password for Windows vista? 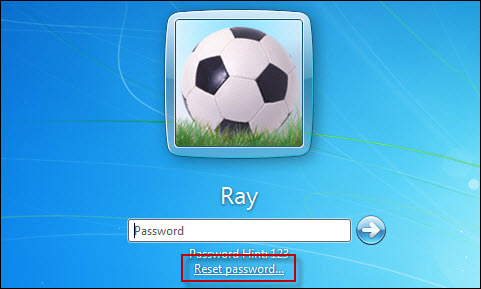 Below is a step-by-step guidance which introduces the method on how to perform Windows Vista password recoveryâ€”to create a password reset disk. You can follow the guidance for Windows vista reset password and regaining access to your locked Vista computer. Windows Vista allows you to create a password reset disk with a USB flash drive in few seconds. It can help you recover Windows Vista password when you forget it. Just try to recover the password in the step showed as follows if you have a password reset disk at hand. 1.Â Â Â Â Â Â Â Â Start your computer and get to the Windows Vista login screen. 2.Â Â Â Â Â Â Â Â Type a wrong password, and then the â€˜Reset passwordâ€™ link will appear on the login screen. 3.Â Â Â Â Â Â Â Â Click â€˜Reset passwordâ€™ to enter to â€˜Password Reset Wizardâ€™ screen, and then click â€˜nextâ€™. 4.Â Â Â Â Â Â Â Â Select the right disk if you have more than one password reset disk, click â€˜nextâ€™. 5.Â Â Â Â Â Â Â Â Type in a new password and password hint, click â€˜nextâ€™. 6.Â Â Â Â Â Â Â Â Click â€˜Finishâ€™ when youâ€™ve successfully perform the Vista password recovery. In this way, you can simply reset Windows Vista password as quickly as you can. But you should note that the password reset disk should have been created before, otherwise, it will not work.